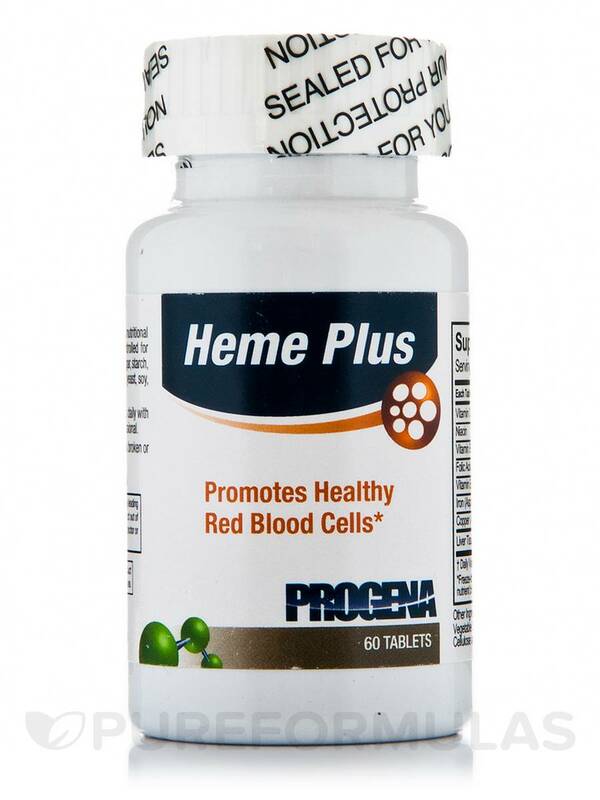 If you’re looking for a supplement that may work to maintain healthy red blood cells‚ you might want to try Heme Plus by Progena. 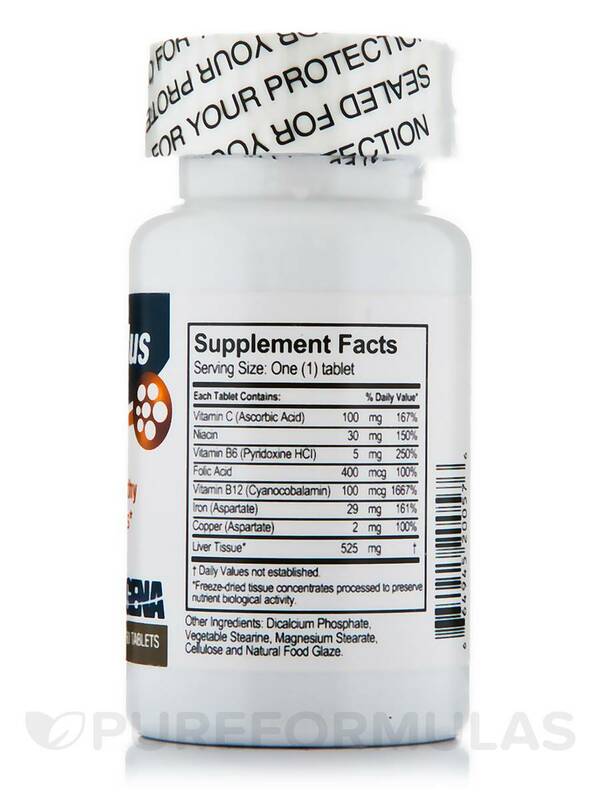 First‚ Heme Plus contains nutrients like iron‚ copper‚ and vitamin B12. Notably‚ iron is a mineral that serves as a key ingredient in hemoglobin‚ which is a protein found in red blood cells that carries oxygen throughout your body. According to proponents of glandular therapy‚ tissues from certain animal glands could potentially act to stimulate the functioning of similar glands in humans. Since your liver is largely responsible for removing old or damaged red blood cells from your body‚ every serving of Heme Plus provides 525 milligrams of freeze-dried liver tissue. Take one to three tablets daily with food. At the recommended serving size‚ each 60-tablet bottle of Progena’s Heme Plus should last for up to two months. Other Ingredients: Dicalcium Phosphate‚ Vegetable Stearine‚ Magnesium Stearate‚ Cellulose and Natural Food Glaze. Contains no sugar‚ starch‚ salt‚ artificial colors or flavors‚ and no wheat‚ yeast‚ soy‚ milk or gluten. 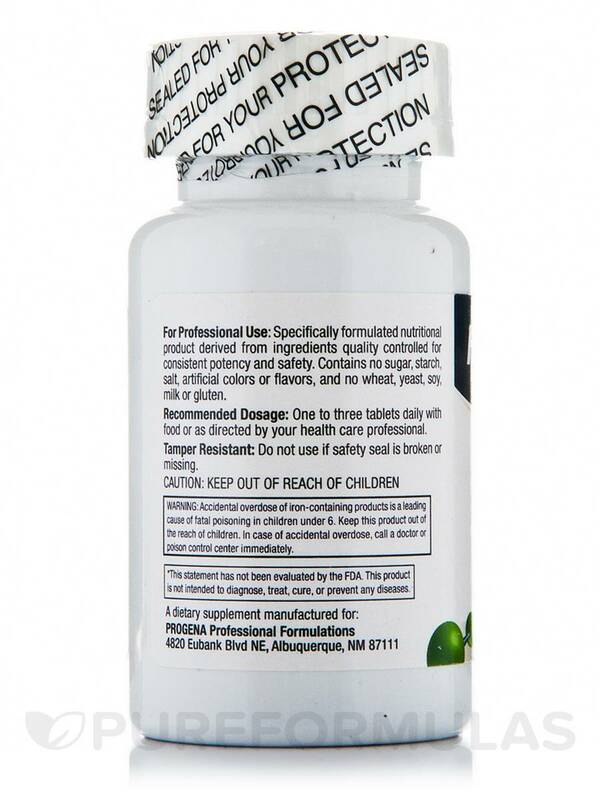 One to three tablets daily with food or as directed by your health care professional.